After a first thrilling book, Zack Love succeeded to gave us an EPIC story, that leave you stuck to your seat! We follow Anissa’s journey through the heal of her traumatizing past, as a Syrian refugee, and the discovery of herself but also finding love and torn between two men. Yeah Zack Love didn’t chose the easy way to tell us her story and it was very challenging. The writing about Anissa’s situation was well researched, so effectively translated into reality. Reading her diary, how excruciating and demanding her life was, totally ripped my heart. Each day, her diary was a testimony of her healing through a bright future, helping her to embrace her past. The way things were exposed was powerful, her words were poignant, as a reminder that she escaped a life of hell, for a new one when she had to discover herself as well, without her relatives, on her own.For her young age, she went through a lot. Her beauty, classy behavior, brains attracted two different men : Michael, a man who risk daily his life for what he believed, passionate and Julien, the opposite, wealthy bachelor, having issues from past that kept haunting him. 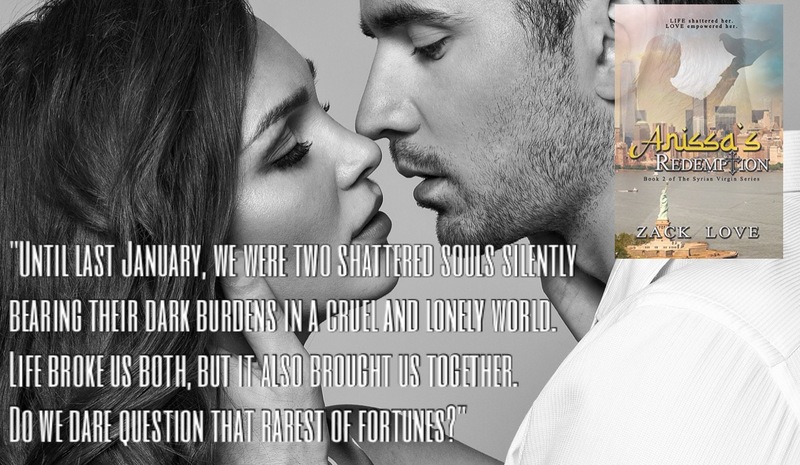 The romance part was more developed on this one, with Anissa’s struggling between the future leader of Antioch and a man who can completely understand her, more alike the he seemed to be. Michael continued his fight for the creation of Antioch. This guy was definitely a hero here, risking his life everyday for his convictions. 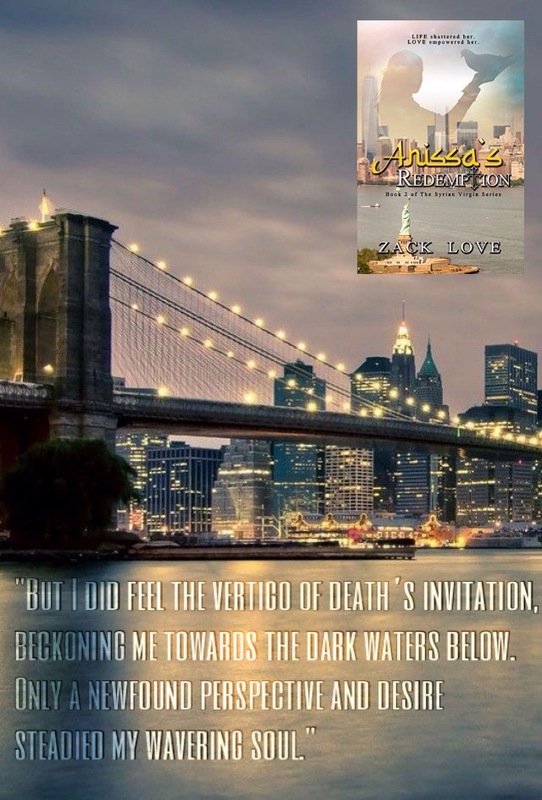 He was passionate and his connection with Anissa was obviously natural but things were blurred, between friendship and love. Julien was definitely a wonderful surprise! His character was so interesting and reading his journals with his honesty, pragmatism, and with no filter was mesmerizing. The part of psychology was also great to read, like we were into their minds and experience their feelings. Through his relationship with Anissa, we could sense his evolution to a darkness place to a brighter one, when he could see a future. He was really opened up and Anissa’s was the trigger to his salvation but also to this downfall. Besides the romance part, the reminder of the safety of Anissa’s family and the horrible situation in the Middle East was gut-wrenching. Reading how she felt about being helpless and how things went there, was moving and described in a realistic way. It was tough, sometimes even bearable. But you were facing the reality of the word, where minorities were tortured and innocent people died. It was relevant and insightful. The author showed us how to see things in a bigger picture. This story was such a whirlwind of emotions, melting love, passion, lust, with the atrocities and trauma from war. On their path for recovery and grieving, Anissa and Julien bared their souls into their diary and journals, and the threat of revealing their true colors was maintained until the end. And again it was brilliant, absolutely suspenseful, and a hell of shock for the big revelation!!! Trust was a huge issue and their relationship was strained so many times that I was so relieved that this story ended with HEA, because after all these characters put up with, they deserved it. I highly recommend this series, which is for me a beautiful masterpiece, written in a very, very smart way. It was just OUTSTANDING! 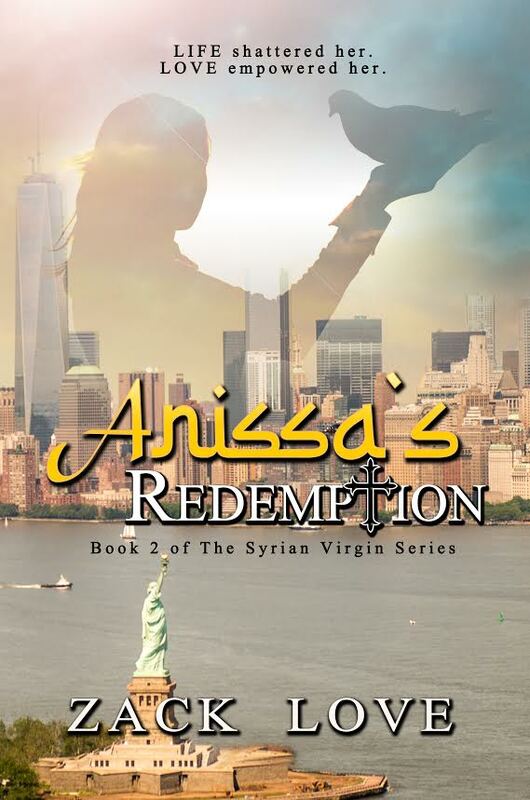 For the record, for those who don’t read the first book, and even if there is a summary in the beginning of Anissa’s Redemption, you should read The Syrian Virgin before, to get the full experience. So take a time for one click and read it, you won’t regret it! A MUST READ!